Sprinkle the lemon juice on the chopped avocados and cover with plastic wrap. Set aside. Melt the butter in a large skillet over medium heat. Sauté the onion until clear -- not browned. Add the chopped avocados and sauté for 2 minutes. Add the chopped chiles and sauté for 2 more minutes. Add the eggs and scramble until done to your liking. Salt and pepper as desired. Sprinkle with cilantro, if desired. 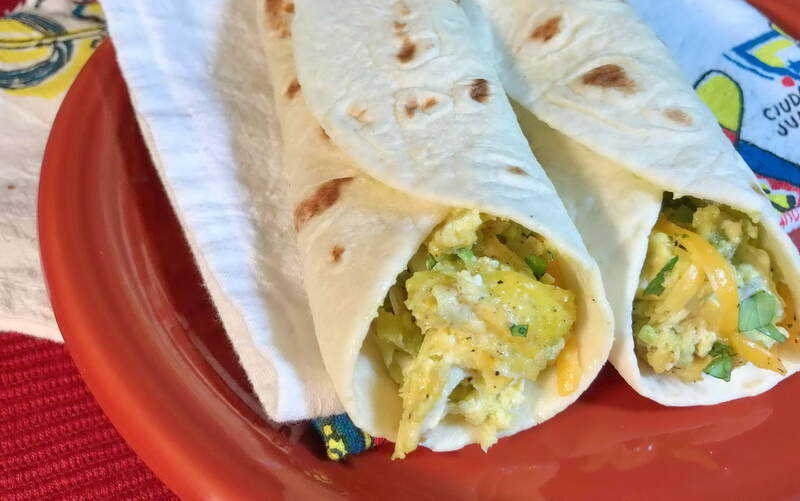 Note: These eggs are terrific served with warm corn or flour tortillas and your favorite salsa.